March is most known for madness. Not an insane type of madness, but an enjoyable madness. March is home of the NCAA basketball tournament, which includes 68 teams, and 63 games. The fun in March Madness is when a bunch of people can get together and fill out brackets and root for upsets. In basketball lingo, March doesn’t end this year until April 8, when the two surviving teams meet in the NCAA final. The tournament is split up into 4 separate regions (East, West, Midwest, South) and in each region teams are ranked 1-16. The one seed (the higher ranked team) will play the sixteen seed (the lower ranked team), the two seed will play the fifteen seed, and so on. 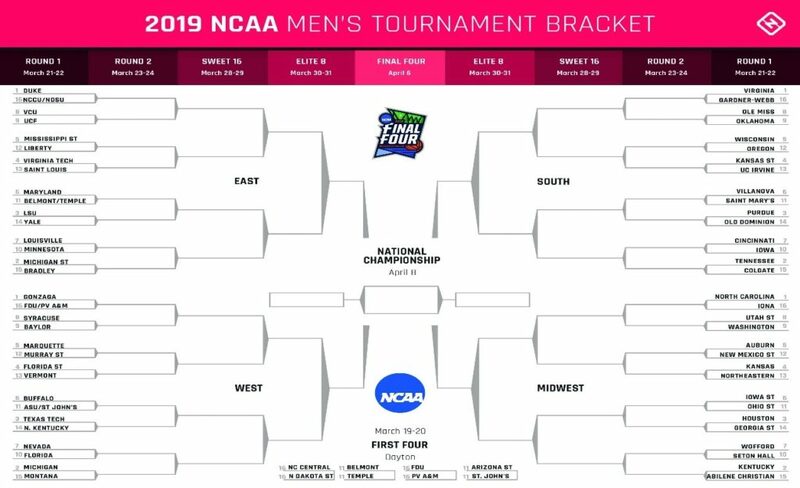 On average, 70 million brackets get filled out every year. 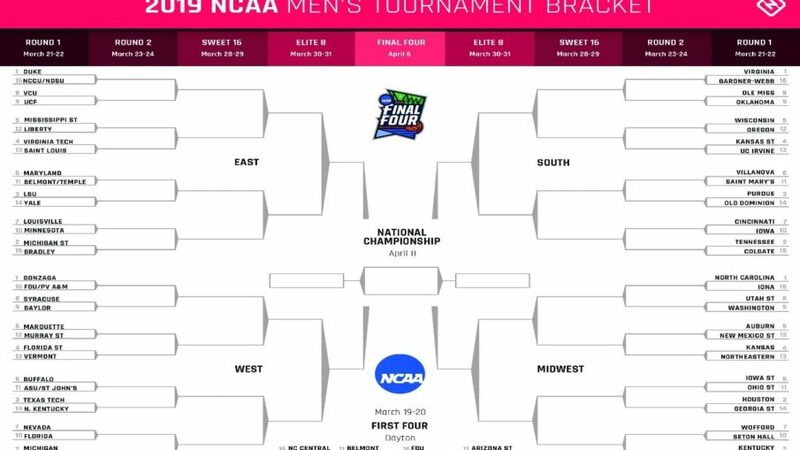 The best part about filling out a bracket is that an individual doesn’t need to know a thing about basketball to have a successful bracket. However, there are a few tips that the common bracket maker may not know. Wisconsin is a five-seed, and their opponent in their first game was 12-seed Oregon. On paper, a 12-seed versus a five-seed is a matchup that the five-seed is expected to win since they are the higher ranked team. However, one of the most common upsets in the tournament is the twelve beating the five. It has happened 47 times, the most wins for a higher seed, including 3 times in 2018. This year, Oregon upset Wisconsin in the first round, thus carrying on that tradition. “My family always makes fun of me, but I usually pick all the one seeds to make the final four,” said Kash McClure, another FCC student. Shockingly, it has never happened where all four number one seeds have made the final four. In every tournament there is always one upset where a one seed will lose before playing another one seed in the final four. All four number one seeds have made it into the sweet 16. History shows that at least one of them will lose before the final four. Next time you fill out a bracket, remember this. This year, number 1-seeds Duke, Gonzaga and UNC have lost, Duke and Gonzaga in the Elite Eight and UNC in the Sweet Sixteen. “I have to pick one 16-seed over a seed now don’t I?” asked Tim Kuhens, another student. In any other year this would be a silly question to ask. Before the 2018 tournament, one seeds were 132-0 all time against 16 seeds. However, for the first time in history, the 16-seed UMBC defeated the one-seed Virginia. It is highly unlikely for a 16-seed to win a game, but it is no longer considered impossible. However, a team is nothing without its players, as student Demetrius Anderson pointed out. “Zion. All that matters,” Anderson said. Zion Williamson is a star freshman on Duke. Duke was the shocking loser to Michigan State on Sunday. Until then, Duke was the heavy favorite to win the tournament. Zion is projected to be the number 1 pick in NBA draft, and is considered the most exciting player in college basketball. The hype around Zion and his athleticism has not been this high since Lebron James, who never even played in the tournament. A player with this much talent on college basketball’s brightest stage is must-watch TV. “Am I allowed to just pick Maryland?” asked Rachel St Croix, an FCC student. Local favorites are usually a popular pick depending on where you live in the country. For us, the closest teams we have are Virginia (1-seed), Virginia Tech (4-seed), and Maryland (6-seed). Out of these three teams, Maryland is the only team to not make the Sweet Sixteen this year. Virginia Tech lost to Duke in the Sweet Sixteen, and Virginia will face Auburn in Saturday’s Final Four. “I don’t fill out a bracket; I usually just root for chaos,” Michael Reeves, an FCC student, boasts. The beauty of March Madness is that chaos is always right around the corner. A buzzer beater to win the game is very common in a tournament like this. Maryland lost in the second round to Louisiana State University by two points, because of a layup made by LSU as time expired. On YouTube, you can find 15-minute compilation videos of NCAA tournament buzzer beaters. There are so many great moments that come from this tournament every year. March Madness consumes people for three weekends in March and the beginning of April. It is a tournament that will test a team to win six games in a row against the best teams in the country. The excitement each game brings can break barriers between sports fans and non-sports fans. There has never been a perfect bracket, before this year, nobody has even predicted the whole first round correctly. So don’t worry about not having the best bracket, just enjoy the tournament for what it is, and that is madness.